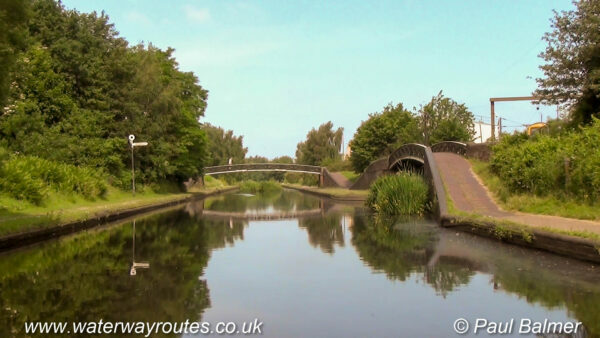 Looking along the Birmingham Canal Navigations (BCN) Main Line towards Wolverhampton, with Birmingham behind the camera. The finger sign on the left bank point along the Soho Loop which emerges from under the towpath bridge at Winson Green Junction. This was once a four way junction, as Rotton Park Junction still is today, with the Cape Loop swinging off to the left, and rejoining later at the former Cape Junction.